Rapides Parish Sheriff's Office Correction Division is responsible for the care, custody and control of approximately 1,070 offenders throughout Rapides Parish. The division is divided into 6 separate departments. THE FOLLOWING LINK WILL ALOW THE MEDIA AS WELL AS THE PUBLIC TO SEE EVERYONE WHO HAS BEEN BOOKED INTO THE RAPIDES PARISH DETENTION CENTER, 1, TRANSITIONAL WORK RELEASE AND 3, WITHIN THE SET DATES AND TIMES SELECTED. For information on a detainee's bond, contact the on duty supervisor at (318) 473-6750. Visitation hours are on Saturdays from 08:00 am - 11:30am or 12:00pm - 3:30pm. Special visits and child visits must be pre-approved by the Warden's office as well as all pastoral visits. Rapides Parish Sheriff's Office DC-2 facility currently houses 200 offenders who provide contract labor for State, Parish and local public agencies. Rapides Parish Sheriff’s Office Transitional Work Program houses approximately 315 transitional work offenders. The offenders are employed throughout the community so they may become able to re-enter into society with a trade to obtain gainful employment. For information on hiring an offender, please contact Cpl. Steve Boeta or Sgt. Walter Blade at (318) 449-4363. Office hours are Monday - Friday 8:00 am to 4:30 pm. These documents are in .pdf format and require Adobe Acrobat Reader. 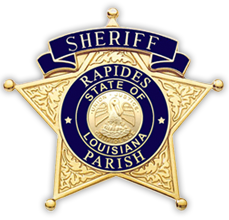 Rapides Parish Sheriff's Office Transportation Section is responsible for transporting offenders to court, medical appointments and extradition. 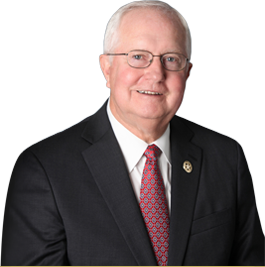 Rapides Parish Sheriff's Office House Arrest Section is responsible for electronic monitoring of offenders on House Arrest and Pre-trial Detention. Payments for these services can be mailed to P.O. Box 1510 Alexandria, LA 71309 or dropped off at the House Arrest office Monday through Friday between the hours of 8:00 am - 4:30 pm, located on the 2nd floor of the Rapides Parish Court House. There is a fee for Electronic Monitoring. The set up fee is $125.00 and a weekly fee of $30.00 for a total initial money order of $155.00, thereafter a $30.00 weekly fee. All fees payable by money order only. Rapides Parish Sheriff's Office currently utilize approximately 45 offenders for trash pick-up around Rapides Parish. These crews pick-up approximately 400,000 pounds of trash each year. To report trash on a road or to have appliances picked-up, contact the Rapides Parish Highway Department. Old appliances will be collected on the second Monday of each month. The Produce Farm utilizes approximately eight to ten offenders that are responsible for preparing, planting and harvesting of all vegetables grown by the department.